The Messiah (Christ) is the Word of God (John 1:1) and so it should come as no surprise that He is described in every Old Testament book. In Genesis He is the Seed of the woman (Gen. 3:15). In Exodus He is the Lamb of God for sinners slain (Ex. 12:5-7, Gen. 12:11). In Numbers He is the Star out of Jacob (Numb. 24:17). In Deuteronomy He is the Prophet like unto Moses (Deut. 18:15). In Joshua He is the Captain of the Lord’s armies (Josh. 5:13-15). In Judges He is the Angel of the LORD or the messenger of Jehovah (Judges 13:18-21, Judges 13:22-23). In Samuel, Kings and Chronicles He is the King of Kings and Lord of Lords (1Sam. 8:1-4, 1Sam. 8:5-8, 9). In Psalms He is the Blessed Man (Psalm 1:1-3), the Son of Man (Psalm 2:2-5, Psalms 2:6-9, Psalms 2:10-12), the Crucified One (Psalm 22), the Coming One (Psalm 24), the Reigning One (Psalm 72). In Proverbs He is our Wisdom (Provb. 14). In Ecclesiastes He is the forgotten Wise Man (Eccl 9:14-15). In Jeremiah He is the LORD OUR RIGHTEOUSNESS (Jere. 23:6). In Lamentations He is the Man of sorrows who weeps for His people (Lam. 1:12-15, Lam. 1:16-18). In Ezekiel He is the glory of God (Ezek. 1:28). In Daniel He is the Smiting Stone (Dan. 2:34) and the Companion in the furnace of fire and the den of lions (Dan. 3:24-25; Dan. 6:22). In Hosea He is David’s Greater King (Hos. 3:5). In Obadiah He is the Deliverer upon Mount Zion (Oba. 1:17). In Jonah He is the buried and risen Saviour (compare Matt. 12:40). In Micah He is the Everlasting God born in Bethlehem (Mic. 5:2). In Nahum He is our Stronghold in the day of wrath (Nah. 1:7). In Habakkuk He is the Anchor of our faith (Hab. 2:4). In Zephaniah He is in the midst for judgment and cleansing (Zeph. 3:5, Zeph. 3:15). In Haggai He is Lord of presence and power (Hag. 1:13). In Zechariah He is the smitten Shepherd (Zech. 13:7). In Malachi He is the Sun of Righteousness (Mal. 4:2). 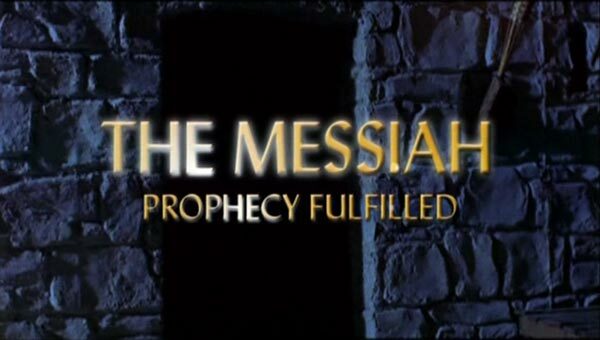 The Messiah will ascend to heaven (at the right hand of God) Psalm 68:18 Luke 24:51; Acts 1:9; Acts 2:33-35; Acts 3:20-21; Acts 5:31-32; Acts 7:55-56; Romans 8:34; Ephesians 1:20-21; Colossians 3:1; Hebrews 1:3; Heb. 8:1; Heb. 10:12; Heb. 12:2; 1 Pet 3:22 . . . sorry, we got carried away!